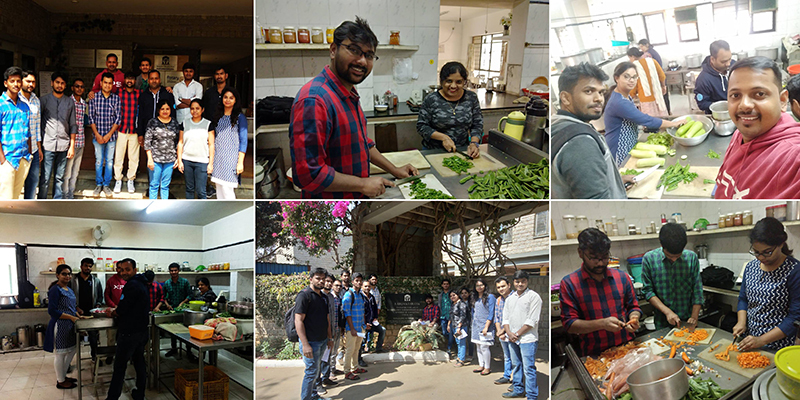 This month as part of the Pledge 1% initiative, Bangalore Dazeworks team had visited Bangalore Hospice Trust-Karunashraya on 22nd of January between 9 to 12 pm for the second time. 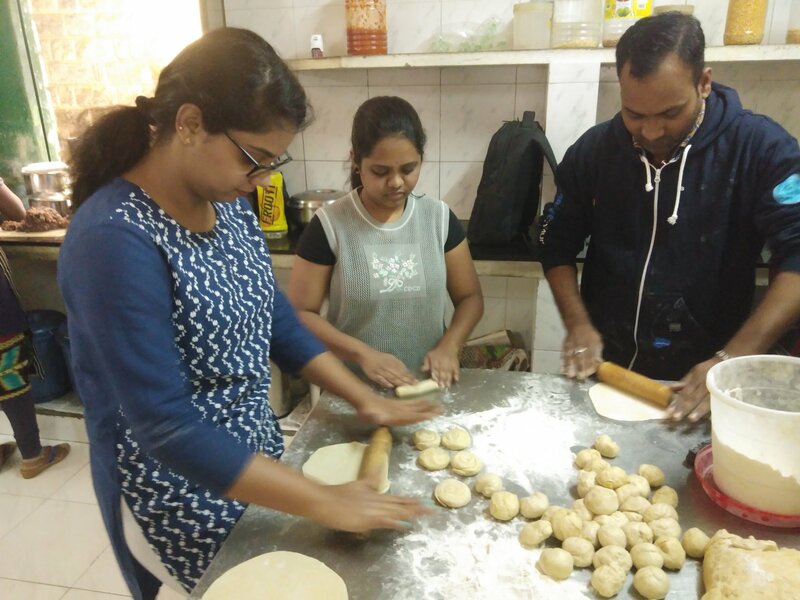 Karunashraya is a joint project of the Indian Cancer Society (Karnataka Chapter) and the Rotary Club of Bangalore Indiranagar, to provide free professional palliative care for advanced stage cancer patients who are beyond cure. Their aim is to make sure that everyone with advanced stage cancer gets the very best care, and we believe hospices are critical to achieving this. The support we give to hospices is aimed at giving them the skills and expertise they need to provide the best possible care, as well as equipping them with the necessary resources to run and grow their services. We had been there as a team of 16 members for volunteering. This place is five-acre heaven of lush greenery, birds and felt serene. 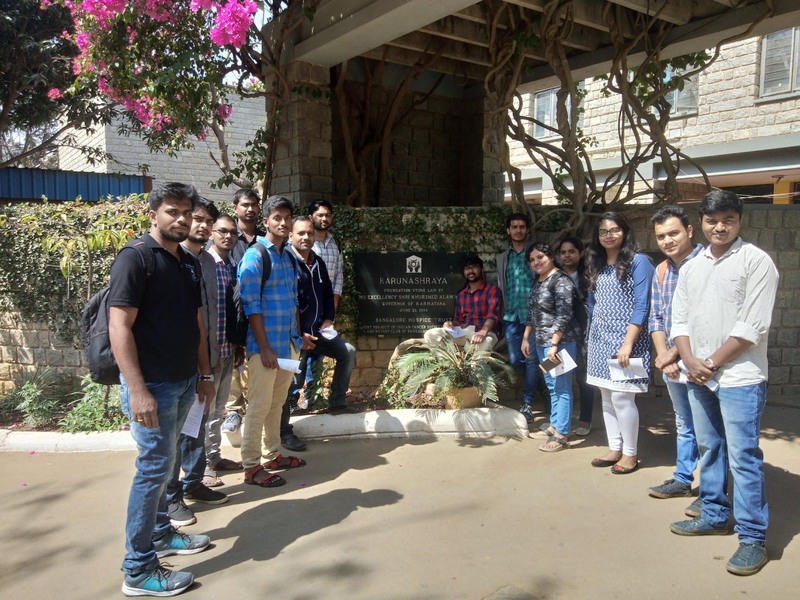 As soon as we entered, we experienced a positive vibe, the place was so peaceful and maintained clean, later we had an orientation for about 30 minutes by one of the members of the Karunashraya trust. We got to know about how the trust works and the struggle of the patients, which was very impulsive. 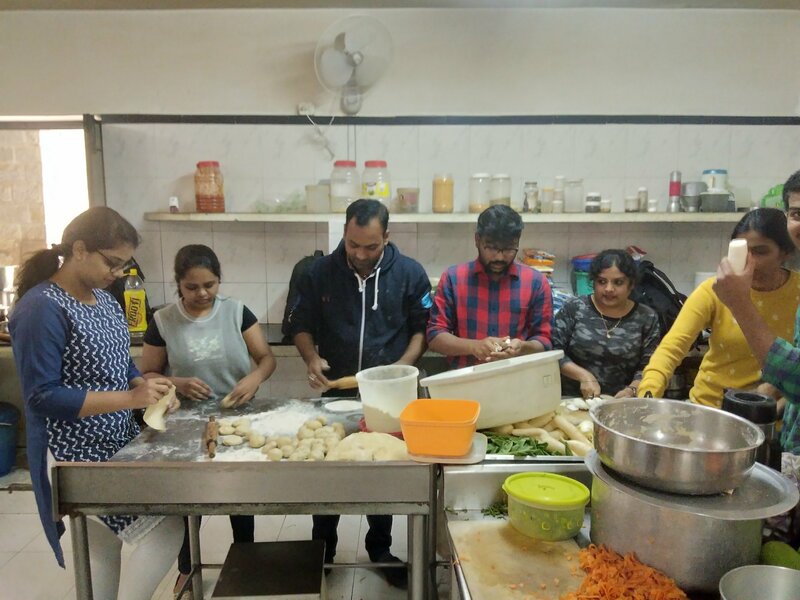 Then we volunteered ourselves in the best way we could to help them, one of the members of the trust divided us into groups so that we could work in different departments. 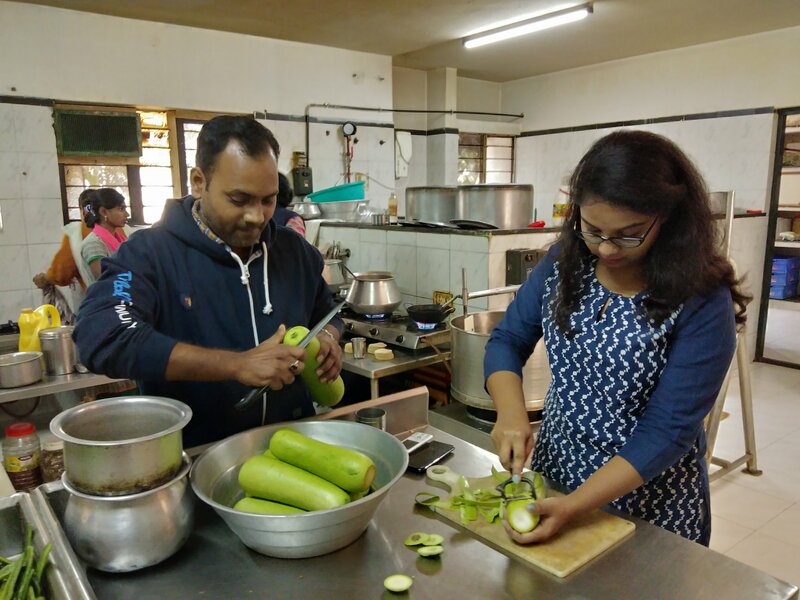 As per the division, few cleaned the solar panels, few helped in trimming the lawn, and the rest assisted in preparing the food for the patients. We left the place with heartfilled, learning a lesson that live the life to the fullest don’t know what might be the next moment. We left the place all content and felt great to be a part of this service.